Evelyna’s outstanding work ethic coupled with her passion for helping others is the primary reason she was nominated for the “Job Well Done” award. Her enthusiasm, motivation, and hard work has led to her being recognized as one of the best students participating in the Corporate Work Program this semester. Evelyna is committed to making a positive social impact and improving underserved communities through increased access to education and economic prosperity. 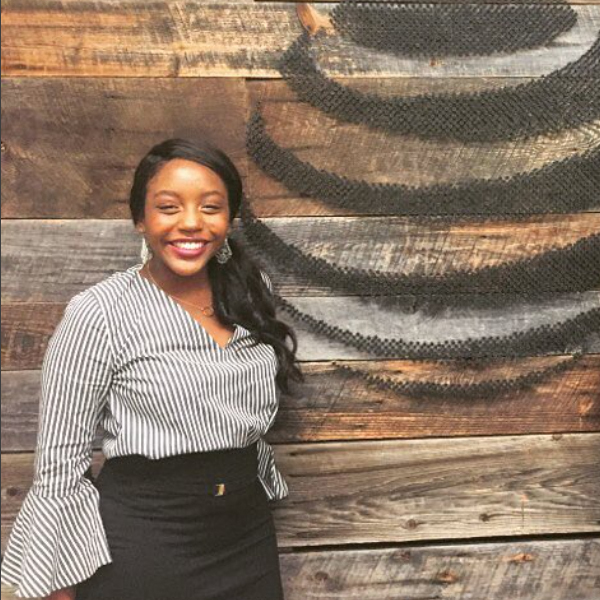 As an intern at AT&T, Evelyna conducts mission-critical research to help AT&T’s foundation identify and select potential organizations to fund based on the alignment between both organization’s goals. She also plans events, such as the "Intern Day of Impact" and supports the Corporate Social Responsibility teams at AT&T. Since she has started her off-campus internship, Evelyna has taken on higher levels of responsibility and continued to develop her leadership and professional skills. Evelyna exemplifies the qualities of an outstanding student intern as she always takes initiative, uplifts her team with her pleasant personality and produces quality work consistently.